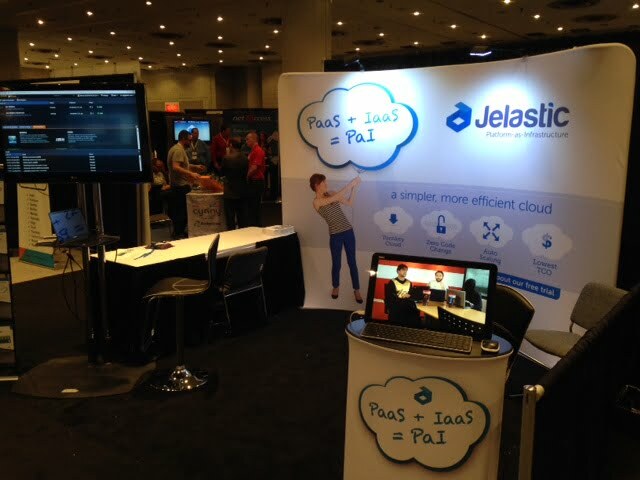 This week, the Jelastic team took part in the 14th International Cloud Expo in New York (including Big Data Expo, DevOps Summit and Internet of Things Expo). 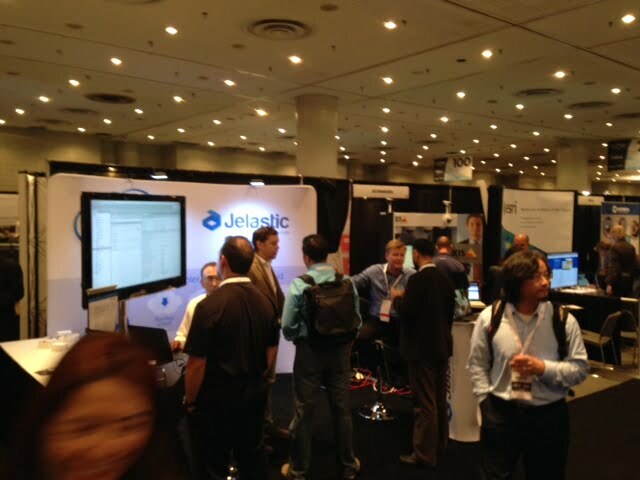 As the title(s) might suggest, the show is attended by IT professionals interested in Cloud, DevOps and Big Data. The show was our first big conference focused on the enterprise buyer, and gave us the opportunity to deliver our message to Fortune 1000 companies. We also debuted our new branding, website and Ruby support at the show. On Tuesday, Ruslan, our CTO, delivered a presentation on The Agile Enterprise Cloud which was well received and attended by about 100 people. 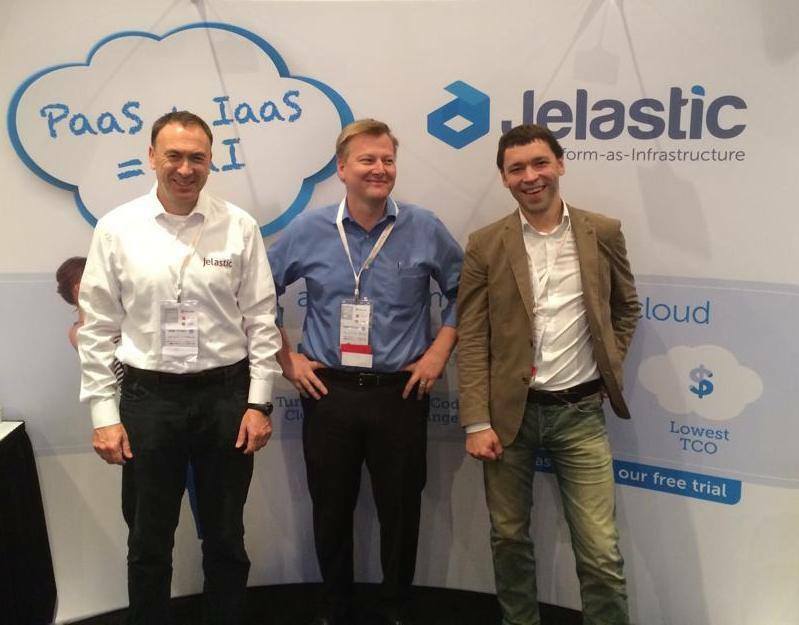 On Wednesday, John Derrick, our CEO, was one of three Chief Executives on a panel discussing Open Source in the Cloud. 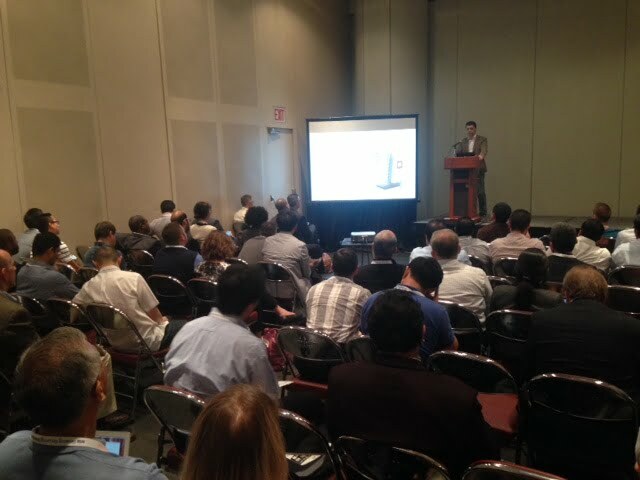 This session was standing-room only with about 300-400 people attending. John delivered our message (Jelastic using Open Source where it makes sense but focusing on delivering Open APIs and Open interfaces to developers so that they can build new applications and migrate legacy applications without fear of vendor lock-in). At one point, one of the CTOs initiated a philosophical “discussion” with John suggesting that even open interfaces mean that customers are locked into a vendor by default, because it’s too expensive to move from one cloud to another. John replied that there is a major difference between vendors locking in customers via technology and customers simply not being able to economically justify a move. Nice job, John. “The Most Interesting Developer In The World”, our competition to find, believe it or not, the most interesting developer in the world, was also launched at the show. We had a lot of people watching the video content and many entries from the show. If you’re not familiar with the competition, you can tweet your name or another name @jelastic or enter via our online form at jelastic.com/tmid telling us why you or your nomination is interesting. We will pick two winners every month and offer a grand prize at the end of the year (including a starring role in our next set of videos). Make sure you look at our video parody. 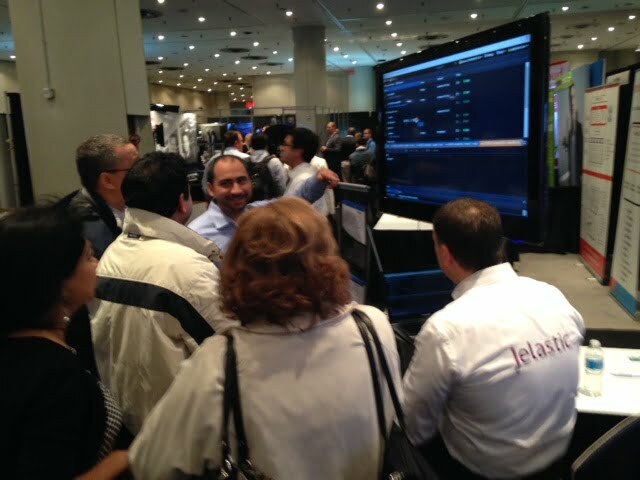 On Tuesday and Wednesday over 100 companies visited the Jelastic booth from various verticals, with banking and finance being the most prevalent. All in all, this was a great venue to deliver our Platform-as-Infrastructure message to the enterprise market in person, for the first time. Next week we move the show onto Miami for HostingCon. Stop by booth #414 if you’re going to be there!